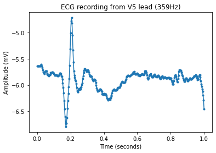 The question that me and my partner decided to tackle is: What specific sequence changes in the V3 domain of HIV-1 play a role in altering its structure significantly enough to affect its function? First you must retrieve protein sequences form the web. You can use a host of sites such PubMed, but Bioinformatics for Dummies suggests using ExPASy instead because its a good site for protein information as well as being easy to use. Type in gp120 + envelope protein + HIV-1 in the search windown and then click the search button. 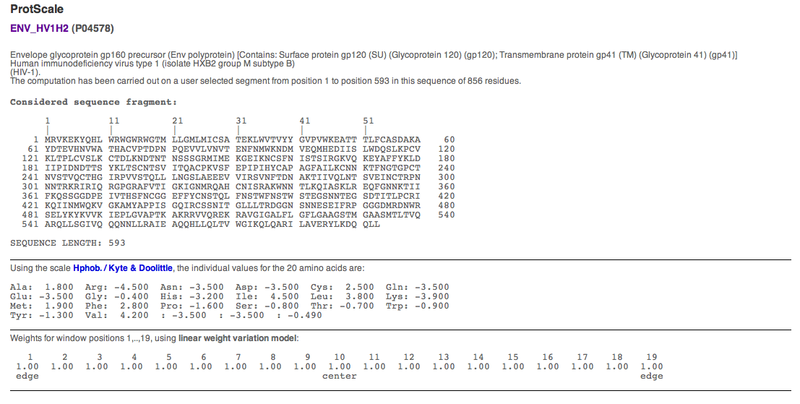 A list of relevant protein sequences should be shown. 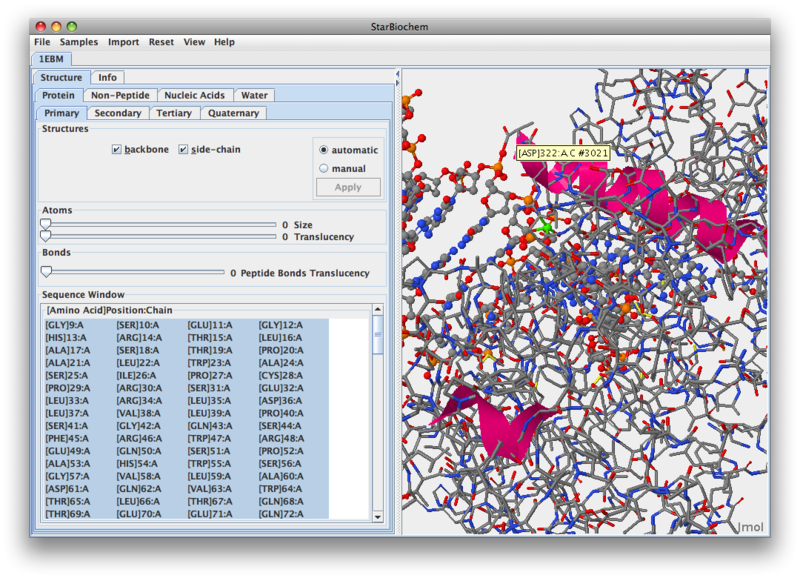 Click the go button to reveal the general information about the entry and name and origin of the protein. Also included are the references, comments, keywords, features, and the sequence. Do the same thing for gp120 protein accession number P04578. Go to www.expasy.org/cgi-bin/protscale.pl. The ProtScale page duly appears. Enter the accession number P04578 in the small search box. Scroll down and select the radio button next to Hphob./Kyte & Doolittle. You do this because ProtScale gives you a large rannge of properties to choose and test on your protein. This one is appropriate for predicting transmembrane helices. This page was last edited on 14 March 2010, at 23:56.